Catherine Jones qualified as a Chartered Physiotherapist from St. George's Hospital Medical School in London in 2003. Since then she has specialised in Musculoskeletal and Womens Health Physiotherapy both within the NHS and through private practice. Catherine Jones Physiotherapy is registered with the Health Professions Council, Chartered Society of Physiotherapy, Acupuncture Association of Chartered Physiotherapists and the Association of Chartered Physiotherapists in Womens Health. 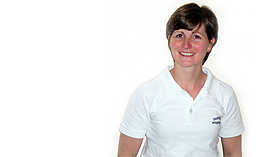 Catherine Jones Physiotherapy is based at RiversMeet, Hardings Lane, Gillingham, Dorset, covering North Dorset and the surrounding area including Shaftesbury, Sturminster Newton and Mere.